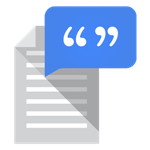 Google Text-to-Speech updates? Psh, boring, right? Maybe it is most of the time, but this update (v3.5.6) brings four new languages including two Chinese dialects. These are, of course, some of the most widely spoken languages in the world. The new version also includes miscellaneous bug fixes and other improvements. The update should be in the Play Store soon, but you can also grab it from APK Mirror.